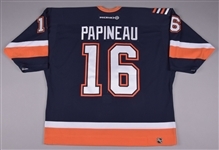 Drafted 46th overall at the 1998 NHL Entry Draft by the Los Angeles Kings, Justin Papineau spent time in both the German and Swiss leagues, along with part of two seasons on Long Island with New York. We have an Islanders jersey that was worn by the Ottawa native during the 2002-03 NHL regular season and Stanley Cup playoffs during his rookie season. 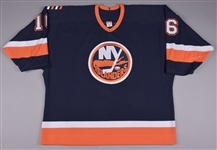 Size “56” labeling graces the collar, with KOHO and NHL crests over the back neckline and reverse bottom hem respectively. 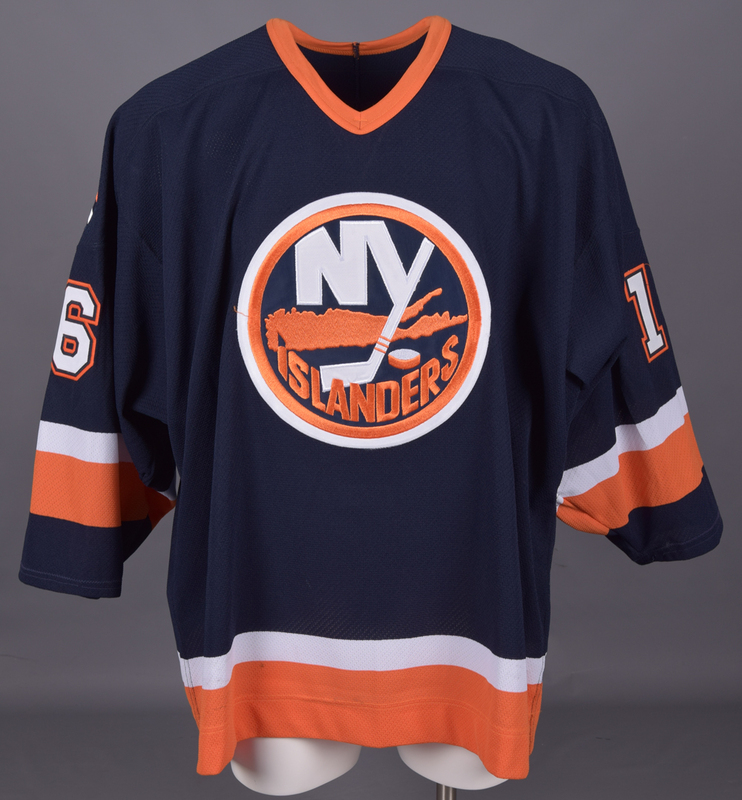 Styled with the famous Long Island team crest with embroidered detailing, the navy “Set 3” V-neck has been accented with tri-colour tackle twill sleeve and verso numbers, with an alternate patch over the right shoulder. 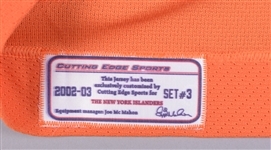 The jersey also sports custom-shortened sleeves. A few marks are visible over the front and sleeves, with board burns with resulting holes over the left elbow. The team patch sits over the inside hem along with a MeiGray patch numbered “A07405”, with an LOA to accompany.